Is it OK to Store Cigars in Tubos Outside of Your Humidor? Cigar tubes are wondrous devices, and when properly sealed at the factory they'll keep a cigar moist outside of a humidor for quite some time. Problem is, they're not always properly sealed. Good cigar merchants will allow a shopper to open a box of cigars before buying, to examine the contents. A well-versed aficionado might open a tubed cigar to take a peek inside, then reclose the tube. Now that the factory seal has been broken, the tube won't be as effective at keeping the cigar moist should it leave the humidor. Even if the box hasn't been opened, there's always a good chance that the tube hasn't been sealed properly. Our advice is to store tubed cigars in a humidor rather than take the chance of them drying out. If you want to ensure the humidified air can circulate around the tubed cigar, unscrew the end of the tubo before placing in the humidor. 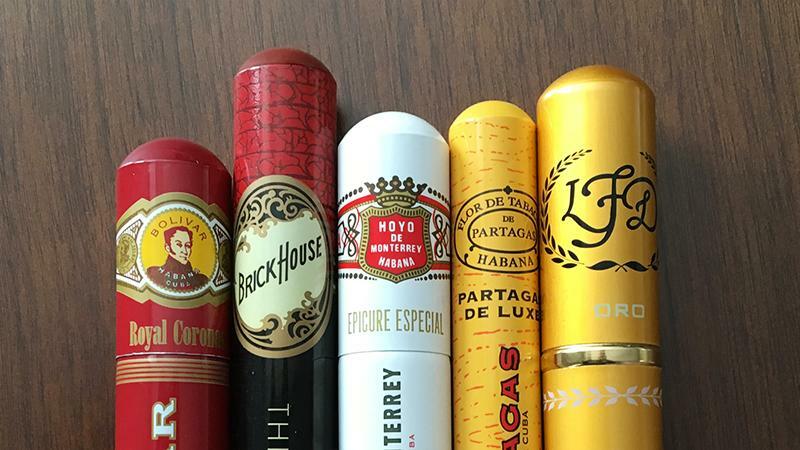 In the past, it was commonly thought tubos were used by cigarmakers attempting to hide cigars with visual defects, but this is largely false nowadays. In fact, tubos often score well in our tastings, further proof that tubo storage and cigar performance can not necessarily be associated.